Safe and sound in Ha Noi, its time to reflect back on this exhilarating experience. To put it in short terms, it’s now the benchmark by which I will judge my future travels. I had done other motorcycle adventures in the past, but through this one, it has really dawned on me that this is where I get my adrenaline (and though diving too of course) and truly is one of the best ways to enjoy a country and see it more for what it really is. There will surely be more backpacking in the future for me, but I’ve realized that I’m thoroughly tired of public transportation and hoping from hostel to hostel so I’ll definitely attempt to make my future visits to foreign countries more adventure motorcycling oriented. I never came across any close calls. Yes, I brushed on oncoming vehicles countless times and had to swerve to avoid all sorts of animals and obstacles, but that is what driving is like in Vietnam. Otherwise, I was in control of my machine to whole time. It was not for the inexperienced driver and got quite painful and tiring on occasions, but I thoroughly enjoyed every minute of it. Especially in the Ha Giang province, which presented me some of the most beautiful scenery I had ever seen in my entire life. This being said, if I ever need another ride in Vietnam, I will stay away from the Honda Wins. The vast majority of those that are on the market around hostels are tourist bikes. They have been up and down the country countless times, were treated badly by their owners and have for sure crashed in their past, at least mine had. 99 % of the people I’ve met while traveling have had breakdowns. There is always a garage nearby, but it remains that the bill adds up to quite a bit over time. Plus, the Vietnamese rarely do a good job at fixing things, they’ll simply mend it so it will run fine for a couple more hundred kilometers and will break again but by this time, you’ll be too far to come back to complain about a repair poorly done. While the Vietnamese themselves used to rely on them a lot and still do so up north, they are moving away towards semi-automatic Honda Dreams, which are much much more reliable, perform better and are more comfortable. They might not be as fun to drive, but they are the workhorses of this country and can take quite a severe beating. Parts will also be readily available even at the smallest most remote garage out there. 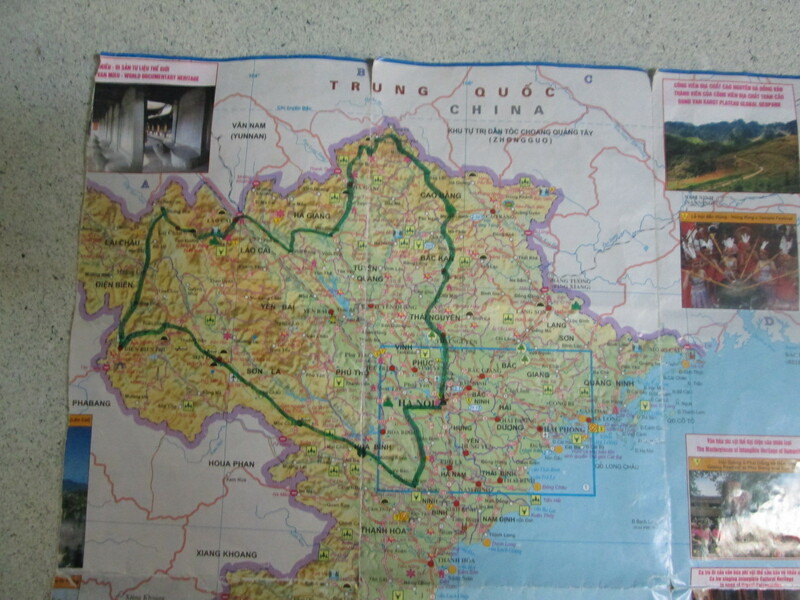 So if I do come back in this region to bike through Laos and Cambodia, I’ll get a Honda Dream.